On the 16th of September 2016, Marcel Verheggen performed during the opening concert of the Dutch arts festival Musica Sacra. He played the work Sacrificium by John Casken. You can listen to a recording below. On the 18th of June 2016, Marcel Verheggen performed together with the Philips Symphony Orchestra, conducted by Jules van Hessen. Among the works performed was the Concert for organ and orchestra by Hendrik Andriessen. A recording can be found below. On the 21st of February Marcel Verheggen performed a number of works by Oliver Messiaen during the Olivier Messiaen Weekend. A video impression of the festival can be found here. The organ starts at 17.15, during which the Transport de joi from L’ascension is being played. On the 19th of September 2014, Marcel Verheggen performed the Planets by Gustav Holst, arranged for organ by Peter Sykes. This performance was given in collaboration with Hans Heykers. A recording can be found here The Planets start at 1h05m. 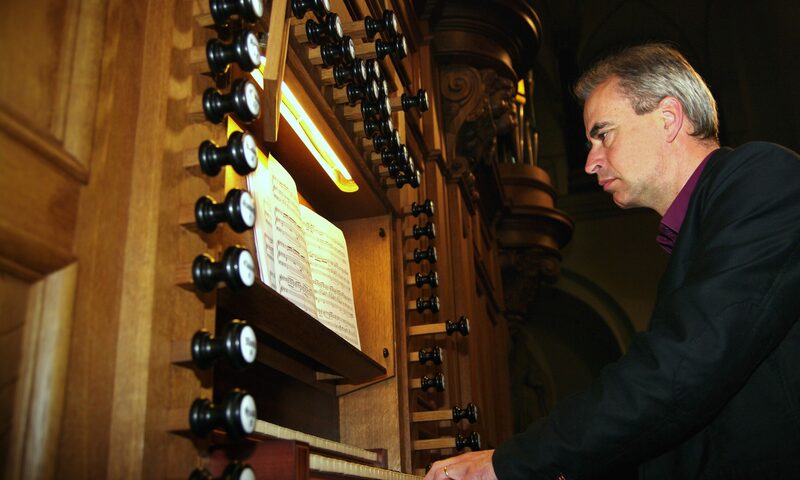 On the 8th of July 2014, Marcel Verheggen played several works on the Severin organ in the Basilica of Our Lady in Maastricht, during the concert series ‘Pro Organo’. On the 14th of May 2014, Marcel Verheggen performed during the Dutch Gregorian Music Festival in the Church of St. Lucia in Ravenstein. On the 7th of September 2012, Marcel Verheggen performed the world premiere of the piece Cathédrales by Jean Lambrechts, in collaboration with mezzo soprano Regula Boeninger. This performance was recorded by the Dutch Radio 4. You can listen to a recording here. On the 29th of February 2012, Marcel Verheggen performed in the Orgelpark together with Studium Chorale (conducted by Hans Leenders) and the ensemble Neos Brass (conducted by Herman Jeurissen). This concert was given during the international Brückner-festival, which took place from the 29th of February till the 3rd of March in Amsterdam. A live recording was broadcasted by the Dutch radio channel Radio 4. On the 2nd of March 2012 this concert was performed again in the Basilica of St. Servaas in Maastricht. A recording of this concert can be listened to below. On the 16th of September 2011, Marcel Verheggen performed the symphonical chorale Jesu Meine Freude by Sigfrid Karg-Elert, during the opening of the Dutch arts festival Musica Sacra. He played on the main organ of the Basilica of St. Servaas in Maastricht. Radio 4 broadcasted this concert on the 21st of September 2011. You can listen to a recording below. On the 2nd of October 2010, Marcel Verheggen gave a special concert for children in the Basilica of St. Servaas in Maastricht. In collaboration with Kiki Jaski and Jannelieke Schmidt, they united organ, song, and theatre during an extraordinary performance.